Many people feel that the process of turning their dream log home into reality will be full of challenges and complications. The bad rep that log homes tend to get is merely a result all of the misconceptions and myths. The fact of the matter is that log homes can be as ideal as conventional homes, but it ultimately all comes down to whether or not it is well-built. That is why choosing the right building professional is an important decision, but it does not have to be daunting if the following is kept in mind. Before choosing a log home builder, it should be decided which species of tree logs will be used for constructing the new home. Cedar, Oak and Pine are among the most popular log species and each of them has its own variations with unique characteristics, such as Atlantic White Cedar, Northern White Cedar and Western Red Cedar. It is recommended that a local builder should be hired instead of one from afar. This way, if a problem occurs, a local builder will be able to return and resolve it easily. When looking for local builders, it should also be checked how active they are in the desired area. It is also better if they are dedicated, full-time dealers. Other things that must be considered include the materials that the builders are offering as a part of their log home package. Furthermore, a list of local log home manufacturers and dealers should also be complied, which can eventually be narrowed down. Once local log home building companies have been narrowed, it is recommended to pay a visit to each of them. A lot can be learned about the companies. Most companies have an Open House schedule, during which their models can be examined. Various log homes companies have their own unique construction methods and log profile styles, so it is best if their construction method is witnessed first-hand before making a decision about hiring a company. 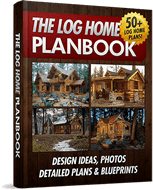 After the ultimate design for a log home has been determined, a copy should be provided to the handful of log home companies that have been narrowed down. 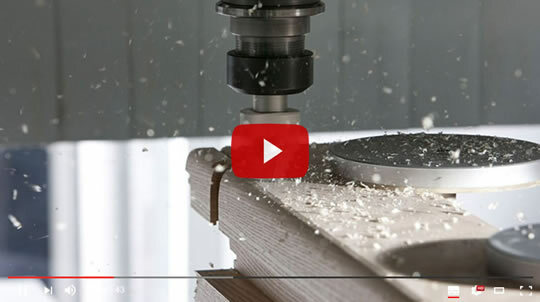 The quote they provide will depend on the materials that they will include in the selected log home design. It must be kept in mind that the log home packages or kits offered by most companies consist of various components. Some suppliers may even offer custom design, but they may also charge extra for it. As mentioned, the packages or kits that log home builders offer consist of various components, so the most curial step of the process is to acquire a final and finished estimate for the construction. Moreover, there is no need to hesitate in asking builders for ways in which budget can be minimized. It should also be made sure that every aspect of the log home design has been taken into consideration for the estimate that has been provided. The log home builders being considered should be willing to provide references. A better understanding of the entire construction project can be gained by having a word with a few of each builder’s customers and ask them about their experience with their respective builder. They should be asked if they received quality and satisfactory materials, whether their budget was maintained, and whether they received adequate support. 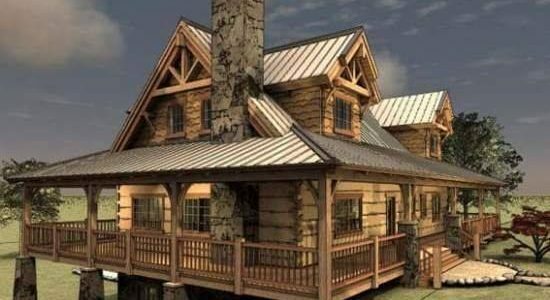 Once the estimates, prices and quotes have been received, even references have been provided and models have been examined, it can become much easier to choose a log home builder.